Note: My discussion of Disney’s Beauty and the Beast ended up being so lengthy that I decided it would fit best as a separate post. Beauty and the Beast (Alan Menken & Howard Ashman, 1991): Beauty and the Beast is my favorite of Disney’s animated films and on my short list of favorite movies in general. The film’s music is absolutely critical to its success. At the time, it was the closest that an animated film had come to duplicating the style of a modern Broadway musical and, thus, it was no big surprise when several years later an adaptation of the movie became Disney’s first Broadway show. The film featured six songs, and two reprises, by the songwriting team of Alan Menken and Howard Ashman, who had written songs for Disney’s The Little Mermaid a couple years earlier. One previously deleted song, entitled “Human Again”, was added back in to the film for the 2002 re-issue of the film in Imax. Menken also wrote the film’s score, which is largely based around the song melodies, but also introduces a couple additional themes. The film and soundtrack albums open with a “Prologue” with David Ogden Stiers reading narration that sets up the story. Alan Menken’s musical accompaniment to this is essentially an (unfortunately) uncredited adaptation of Camille Saint-Saëns’ “Aquarium” from “Carnival of the Animals”. The music fits wonderfully, although its pretty obvious source should have been credited. The opening number is entitled “Belle” and serves as an introduction for both the film’s heroine and, late in the song, the villain Gaston. This is an impressively-scoped number featuring an entire ensemble, led by Paige O’Hara as Belle. During my first viewing of the film, I remember realizing during this sequence that my jaw was pretty much hanging open from the amazement that they had pulled off such a sweeping, Broadway-style number. This really felt like something very new and unexpected for this medium and the song and sequence continues to impress even after numerous viewings. “Gaston” remains one of the best villain songs from a Disney film. It also has some of the most clever wordplay of Howard Ashman’s impressive career, even managing to work in the word “expectorating”, which may have been a first for a song lyric. The song really captures Gaston’s distinctive traits while also being exceptionally funny, with Richard White’s (Gaston) and Jessi Corti’s (La Fou) contributing highly to that. Probably because it really doesn’t mean much out of context, the song isn’t as well known as the others from the film, but it may actually be the most complex and accomplished. 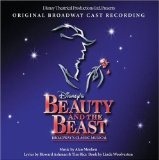 The two best known songs from the film are “Be Our Guest” and the title song. The former is presented in a big, Busby Berkley style showstopper. The sequence is probably the most traditional for an animated music number, but it still is tremendous fun and aided greatly by the great vocals by Jerry Orbach (Lumiere) and David Ogden Stiers (Cogsworth). The Oscar winning title song is, of course, performed by Angela Lansbury and accompanies the romantic dance sequence late in the film. The song has already become something of a standard and is easily one of the most beautiful songs in the Disney catalog. 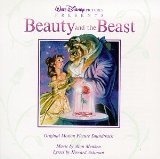 The end credits’ duet version of the song performed by Peabo Bryson and Celine Dion became a huge hit on the pop chart, but pales in comparison to Lansbury’s version. I read a couple Disney-fan discussion boards and every time a new Pixar movie comes out, there is inevitably a thread or two in which everyone ranks all of their films to date. This is probably a result of the relatively few films they have made so far (9) and the game will likely start to die out as the number of titles makes it increasingly difficult. For now, I figured I’ll play along, but do it as a blog entry where I can be more easily verbose with explanations. I do see a distinction between a list of "favorites" and "best" when discussing works of art or entertainment and this list is going to be favorites. What that means is that the order is based more on how much I enjoy the movies and am apt to return to them. Essentially, this is based more on the "fun" factor than on the full collection of merits. Finally, the rankings can’t help but be a bit arbitrary and I openly admit that the order could easily change, especially based on how recently I’ve seen each movie. 1. Monsters, Inc. – Of all the Pixar films, this is the one that I am most apt to stop and watch if I come across it airing on TV or cable. The film succeeds due to great casting, humor that hits the mark with an amazing consistency, truly exciting action sequences, and a story that takes place in a fully-realized and unique world of its own. Finally, the closing shot of this movie is right up there towards the top of the list of the all time best endings. While all of this is in service of a somewhat conventional buddy-movie plot, the whole package simply works. 2. Toy Story 2 – Pixar’s only sequel to date brilliantly expanded on the great characters and concept of the company’s first feature to create a more fully-realized film. The movie is uproariously funny (it has the most out-loud laughs of any Pixar film) and it also quite touching at times. The new characters created for the sequel (Jessie, Stinky Pete, and Bullseye) are not extraneous in any way, instead greatly expanding the overall storytelling. The movie also contains the single best musical sequence of any Pixar film with the highly moving "When She Loved Me". This is a very rare case of a sequel that surpassed the original, largely through the careful application of the experience that the Pixar artists had gained with their first two films. 3. Wall-E – If I were putting together a "best" list instead of a "favorites" list, I’m pretty sure this would top it. Pixar’s newest film is also their most bold an most creative. I’ve seen some online debate about whether the film (especially the first 20 minutes or so) is mainly charming and funny or if it is mostly dark and sad. The brilliance of the film is that it is all of those. They were able to take a fairly downbeat scenario and present it in a way that is both palatable and, ultimately, even optimistic. Much of this is accomplished thanks to the title character being Pixar’s most instantly endearing and sympathetic creation to date. The film’s use of visual storytelling and incredibly detailed sound effects design gives it an exhilaratingly unconventional feel. I can see the possibility that this one could move up on my favorites list as well with additional viewing and the passage of time. 4. Ratatouille – This one has the sharpest writing and most sophisticated story of all of the Pixar films to date. While all of Pixar’s films have appealed to a fairly broad age range, this one does seem to skew a bit older than their other films, probably because the appreciation for fine food that is at the heart of the story really has to come with age and experience. The film does still contain its fair share of visual gags and punch-lines, but it also contains a great deal of wit and character-driven humor. This one would likely be a close 2nd on my "best" list.